All of LLA’s maps are large format (3ft. x 4ft.) and high resolution. They can be viewed or downloaded by clicking on the maps. Each town in the LLA region has an individual town map. The maps are used for the LLA Scientific Maps Go to School Project but are interesting for anyone wanting a bird’s eye view of the landscape and habitats in their towns. 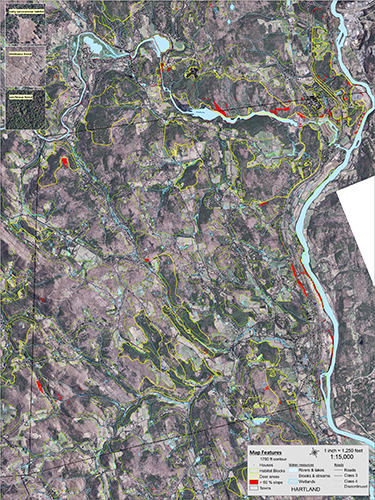 Areas of Contiguous Wildlife Habitat was created by Vermont Fish and Wildlife Department. 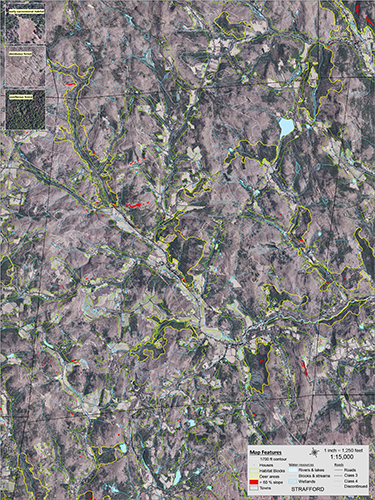 It shows these habitat blocks and categorizes them by size (in acres). The darker the block the larger the number of acres. Different Types of Landforms was created and used by a team of scientists to determine the Areas of Ecologically Important Habitat. 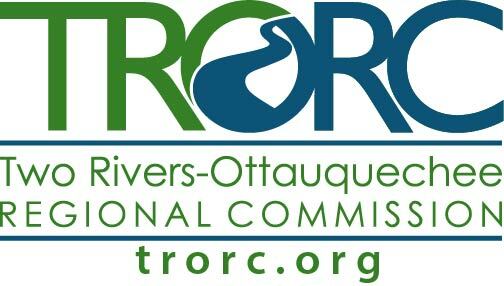 Areas of Ecologically Important Habitat was created by the team of scientists listed below. 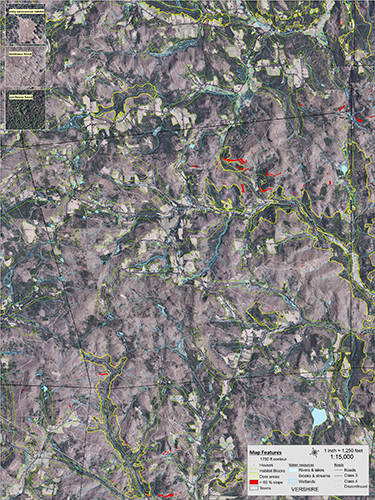 They prioritized the habitat blocks in map #1 based on various landscape variables also listed below. The darkest green habitat blocks are predicted to be the best for wildlife. These are large maps and will take a moment to load. How were the regional maps made? 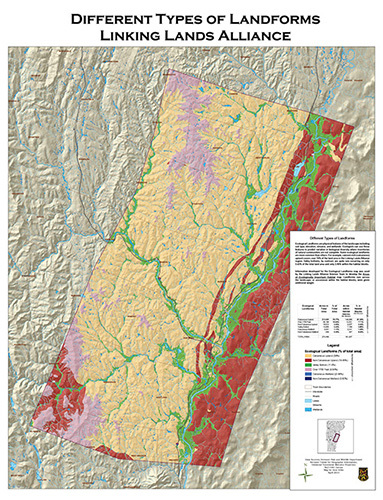 LLA's regional maps were a pilot mapping project of the State of Vermont. The entire State has now been mapped. 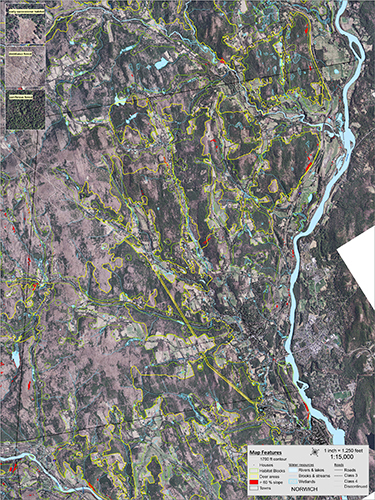 The report, Vermont Habitat Blocks and Habitat Connectivity: An Analysis using Geographic Information Systems, details the mapping process, step-by-step, and each variable is described on its own page beginning on page 18.